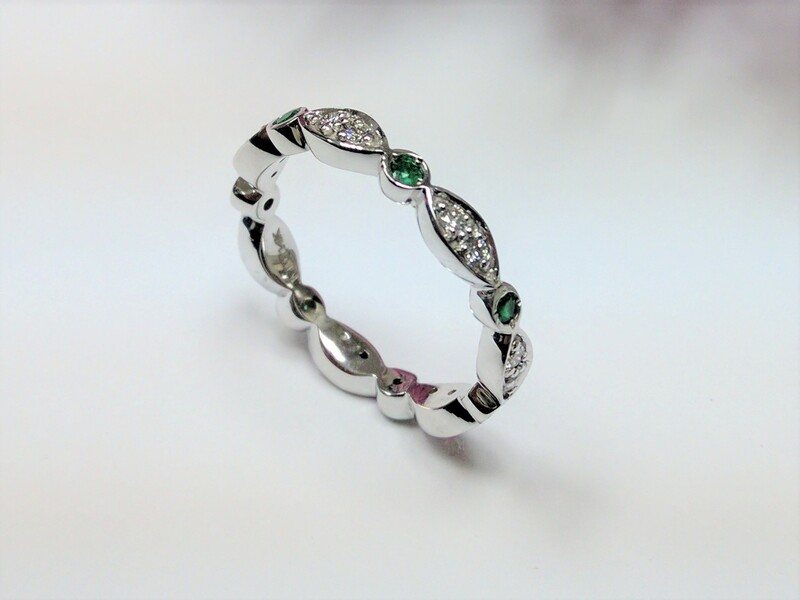 This Eternity Swing Band is custom made for each customer and it features one pave-set round cut diamond after another followed by a bezel set round cut green emerald in a 14k white gold ring. 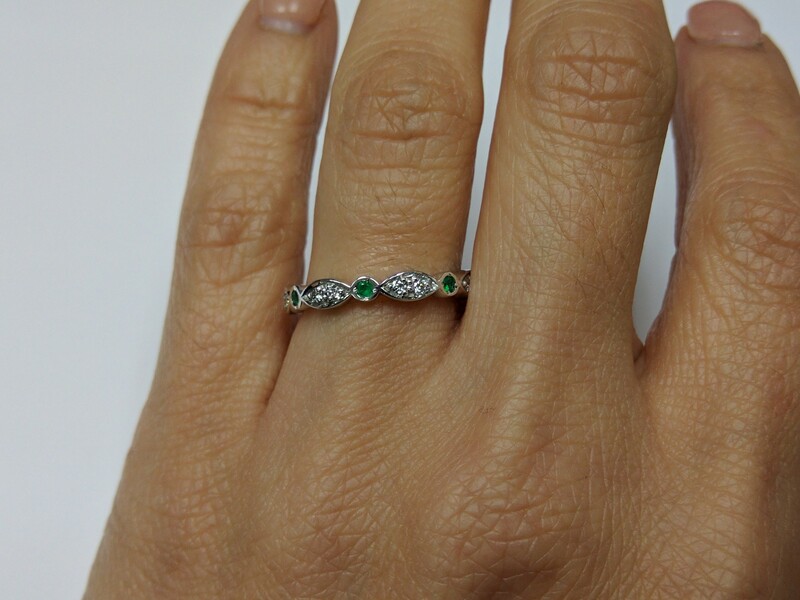 This ring is a size 6, but it's available in different ring sizes, gemstones and size of diamonds. Contact us for additional information and prices. Also available in yellow gold, rose gold & 950 platinum.